Lock in a great price for TownHouse Galleria – rated 8.1 by recent guests! The location of this property simply could not have been better and the rooms were huge! Loved every second of this place. Nothing!! It was closer to 2 stars hotel!! Never again!! One of my new favourite hotels. Unique location in an amazing city. Fabulous, spacious rooms, and staff who go out of their way to help. The locations. The rooms. The restaurant and the staff every thing is perfect. Very comfortable rooms. Lighting in the room very charming. The view from the room is amazing. The mattress and the pillows very comfortable too. Very cleans toilets. Excellent food in the restaurant. TownHouse Galleria This rating is a reflection of how the property compares to the industry standard when it comes to price, facilities and services available. It's based on a self-evaluation by the property. Use this rating to help choose your stay! 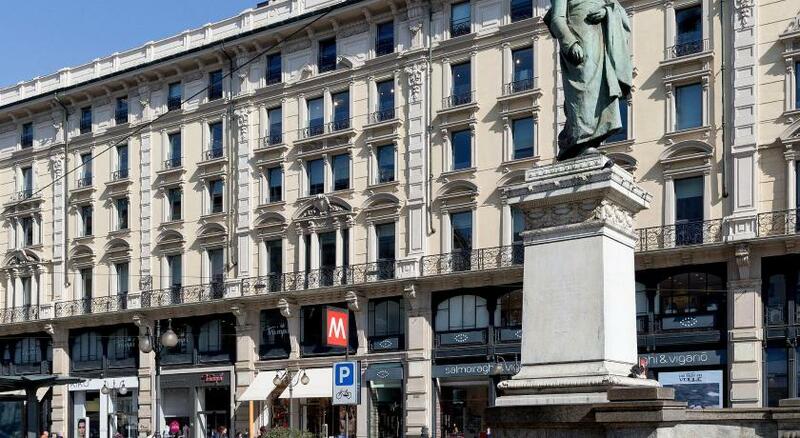 One of our top picks in Milan.Set in Milan's elegant Galleria Vittorio Emanuele II shopping arcade, TownHouse Galleria offers high-end design rooms with a balcony and advanced technological facilities. It features 2 gourmet restaurants, limousine service, and free Wi-Fi. Overlooking the shopping arcade or courtyard, the elegant, air-conditioned rooms and suites at TownHouse Galleria include satellite flat-screen TV with pay-per-view channels, wooden floors and a mini-bar. The private bathroom has soft bathrobes plus slippers. The property hosts 2 restaurants. 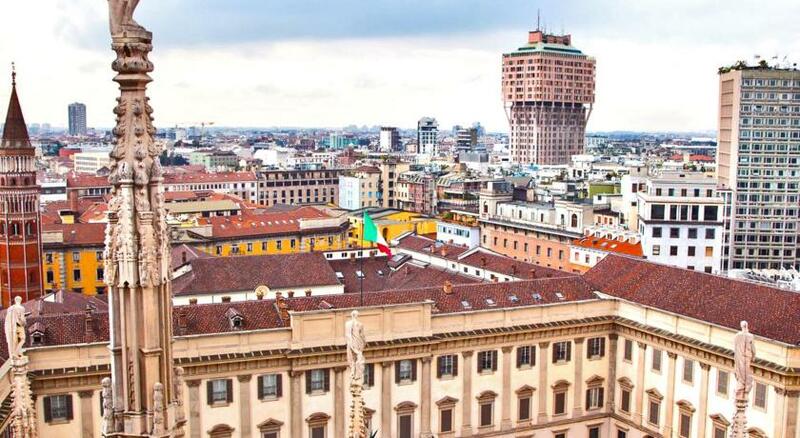 Featuring panoramic views of the Galleria Vittorio Emanuele, the Ottagono Restaurant & Lounge offers light meals and cocktails. 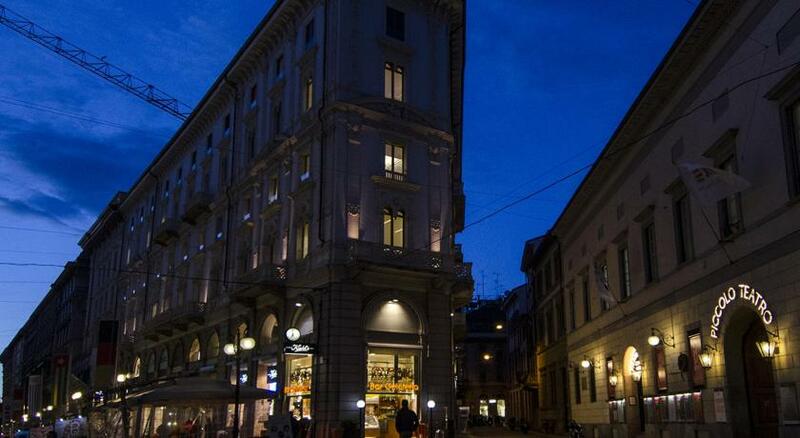 The Michelin starred Pavarotti Milano Restaurant Museum offers haute cuisine dishes. 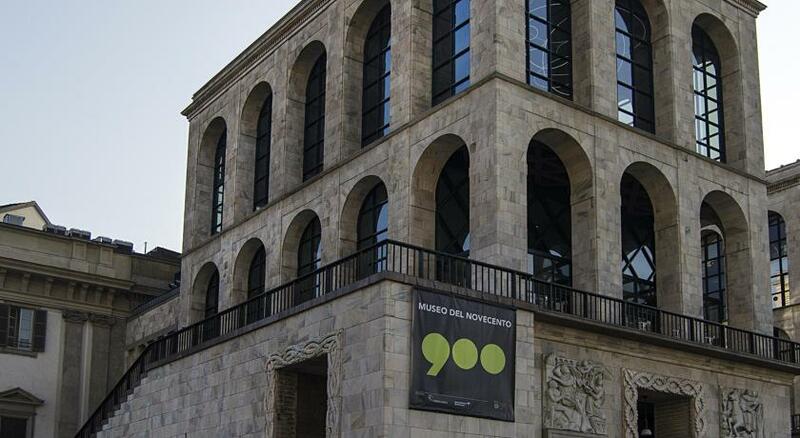 The property also hosts the famous exhibition on Leonardo da Vinci. Piazza del Duomo is just a few steps form the hotel. Duomo Metro stop offers links to Rho-Fiera Exhibition Center, while Via Montenapoleone is reachable on foot in 10 minutes. 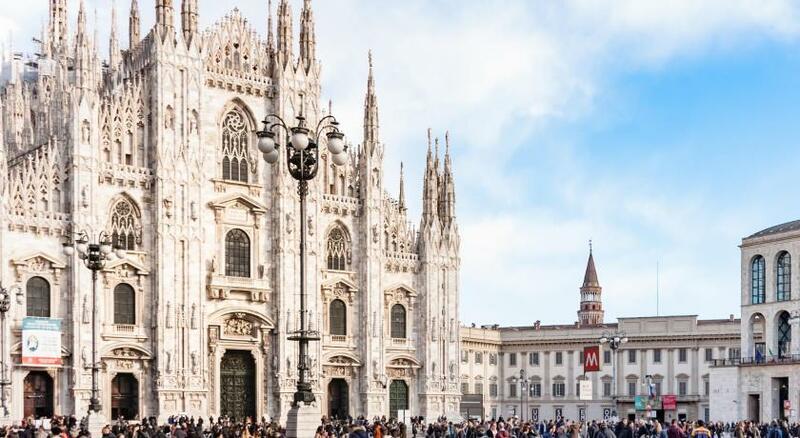 This is our guests' favorite part of Milan, according to independent reviews. 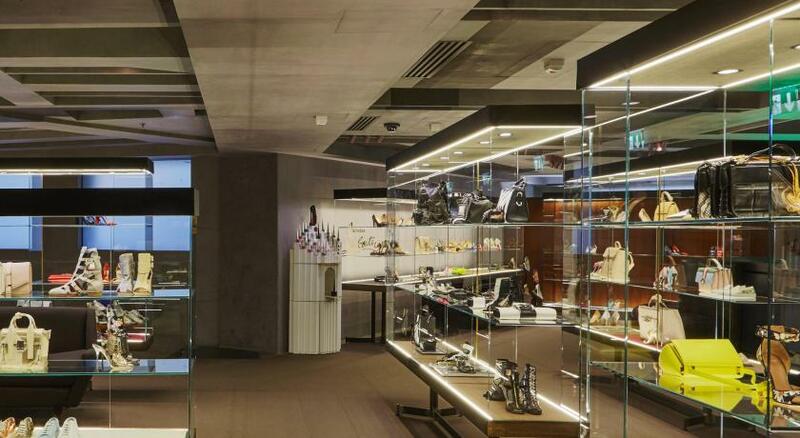 In this area you can shop 'til you drop for popular brands like H&M, Zara, Nike, Cartier, Gucci. When would you like to stay at TownHouse Galleria? Overlooking the courtyard, this room features a marble bathroom with luxury toiletries, parquet floors and a walk in shower or a spa bath. Private parking is available at a location nearby (reservation is not needed) and costs EUR 64 per day. Overlooking the Galleria Vittorio Emanuele II shopping arcade, this room features a marble bathroom with luxury toiletries, parquet floors and a walk in shower or a spa bath. A butler service is available on request. Some rooms have a small balcony. Overlooking the Galleria Vittorio Emanuele II shopping arcade, this spacious, air-conditioned suite features free Wi-Fi access, a seating area and mini-bar. The bathroom comes with marble interiors, parquet floors and a chromotherapy shower. Some units are set on 2 floors. Overlooking the courtyard, this air-conditioned suite features free WiFi, a mini-bar and a bathroom with a walk in shower or a spa bath. 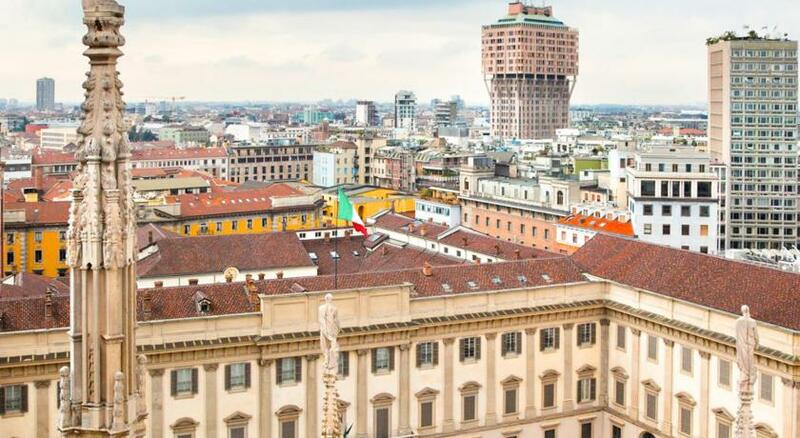 Overlooking the Galleria Vittorio Emanuele II, these spacious and elegant rooms are furnished with contemporary artwork. Marble bathrooms offer either a bathtub or walk-in shower. Some units are set on 2 floors. The other ones have a separate living room and bedroom. Offering views of the Galleria Vittorio Emanuele II, this spacious suite includes a seating area and a dining room equipped with a large table.The bathroom is equipped with a bathtub and a separate walk-in shower. Offering a balcony with views of Galleria Vittorio Emanuele II, this luxury suite features a dining area with kitchenette, and a marble bathroom with a bathtub and a window overlooking the Galleria. The wood-paneled studio features an additional small bathroom, while the separate glass-enclosed shower for two is accessible directly from the bedroom. This twin/double room has a bathrobe, air conditioning and electric kettle. Featuring a glass doors which open out onto a private terrace, this spacious room offers marble bathrooms complete with a bathtub or walk-in shower. House Rules TownHouse Galleria takes special requests – add in the next step! Any additional older children or adults are charged EUR 75 per night for extra beds. TownHouse Galleria accepts these cards and reserves the right to temporarily hold an amount prior to arrival. There was a constraction which thet didn’t mention. The main door, lobby, hallways were underconstraction. Internet was poor and sometimes cut off because of the constraction. They sould better close the hotel until it is done. . We wanted two extra beds. They provided only one with extra charge. It doen’t vale. The staff, the facilities in the room, no amenities in the room. There was construction work which was not informed by the hotel before the booking, noise running till mid night. Lighting system keep going on & off throughout day & night. It was a nightmare. Nothing.. I love this hotel.. Note: the hotel is being renovated.. Didn't feel it. Hotel being renovated. No lobby and temporary breakfast room. Rooms with no bathrobe. The hotel could receive a general renovation, although it fits after all to the style of the neighbourhood. Nice breakfast, although main restaurant closed for renovations. Very friendly staff.